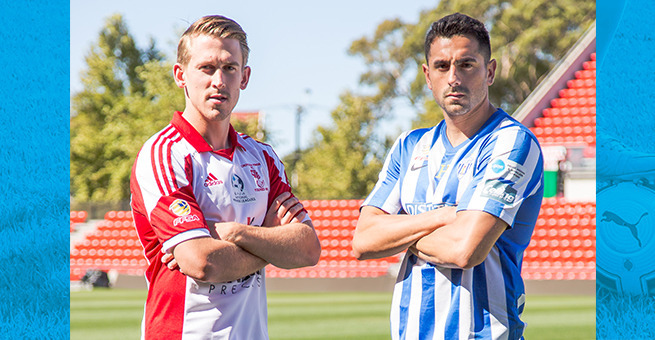 As West Adelaide aim to bounce back from their first loss of the season, Croydon are seeking back-to-back wins in Round 12 of the PlayStation 4 National Premier League South Australia at Polonia Reserve on Saturday. The Kings strolled to an 18-0 Round 2 Westfield FFA Cup Qualifying win over Apollo, continuing their Cup run after mixed League results. Coach Mark Brazzale saw it as a chance for fringe players to get minutes in the legs. “We just tried to use it as a chance to build consistency in the squad and to work on a few things. It was a good run out,” he said. The reigning champions start to the term has been a mixed bag. They’ve won just four of 11 games, but are holding sixth position on the table. Ahead of facing the League leaders Brazzale says he is not worried about Croydon’s current position, rather the team’s performances. “We started the season with plenty of injuries. Now that I have the squad back the aim is consistency. I don’t look at our position on the table. I want consistency. I want to see the players perform on a weekly basis. West Adelaide fell to a maiden defeat against traditional rivals Adelaide City, the 4-0 reverse signalling their exit from FFA Cup Qualifying. It ended a run of 12 matches without loss to start the campaign. Defender Rob Lippett says West were below par and facilitated their downfall. “It was disappointing to lose. The boys were gutted afterwards,” he noted. “We were our own worst enemy. We watched the game earlier this week and what we saw was the goals came from our mistakes. We can’t be doing that. We also didn’t capitalise in the final third. It wasn’t about individuals, but how we played as a team. The clash with Croydon represents a new challenge for the Blue and Whites this term as they must bounce back from a loss. They will also be out to preserve their three point advantage over Adelaide Blue Eagles. Lippett acknowledges it’s a big game. “We were disappointed, but Paul [Pezos] reminded we are playing for West Adelaide and everybody wants to beat us. We are sitting top of the table.